We are working in partnership with a cleaning company in Swindon that are looking for reliable Part Time Cleaners that are experienced in office cleaning. The ideal candidate must have previous experience of cleaning in a commercial capacity and having access to your own transport could be a distinct advantage due to locations and times. We ask you to be flexible when working on other contracts. This role offers long term temporary work, paid weekly with immediate assessments available. 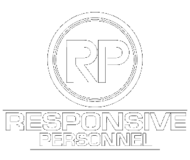 For more information please contact the team on 01793 51300 or email a current CV to apply@responsivepersonnel.com.